I enjoy reading many different kinds of books, from fiction to travel to humor to, of course, tech-related books. Here are a couple of books that web workers may find enlightening. 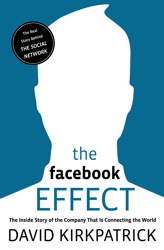 I’ve been considering the privacy concerns raised by the new Facebook Friendship Pages after having read “The Facebook Effect.” It’s a history and analysis of Facebook written by technology reporter David Kirkpatrick. Kirkpatrick was able to interview most of the players in the development of Facebook, including founder Mark Zuckerberg, but the book isn’t your usual “authorized biography” puff piece. Kirkpatrick doesn’t pull any punches when it comes to the controversies and missteps that have surrounded the social network. Kirkpatrick’s access to those at Facebook’s higher echelons leads him to some fascinating insights. It turns out that many of Facebook’s strengths, but also many of the controversies the network has found itself in, are directly related to Zuckerberg’s notion of “radical transparency,” which is nothing less than a society where individuals don’t put on a professional face for some people, and a personal face for others. In such a society, nothing (or at least very little) is private. For those of us who are older, andused to being able to compartmentalize our lives, “radical transparency” feels threatening. But there is evidence that younger people are comfortable in a world where everyone knows everything about everybody, like an old-time small town but on a global scale. The book was written in the early months of 2010 and published in June, so it’s already falling behind the most recent events, but “The Facebook Effect” is still full of insights about how what started as a student website may be changing our society. 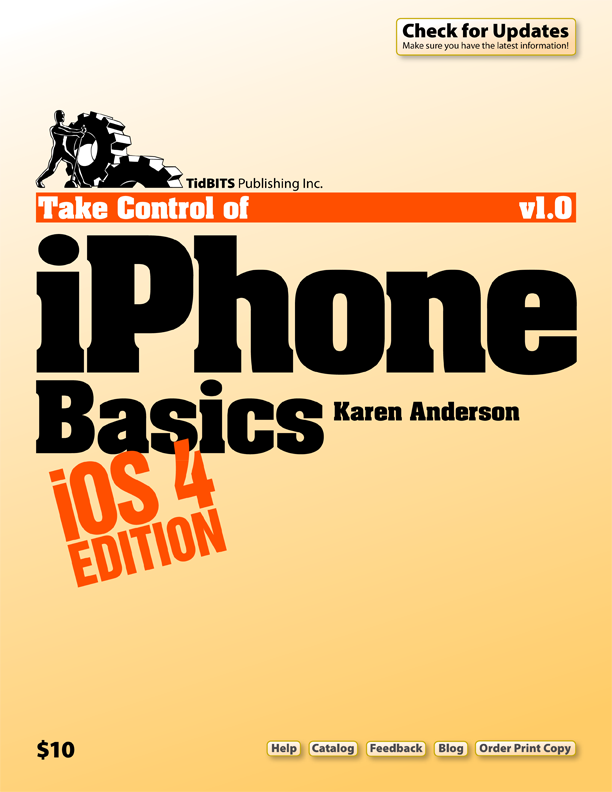 Since I don’t always feel like thinking about the future of civilization, I’ve also been reading something a bit more down-to-earth: “Take Control of iPhone Basics“, by tech writer Karen G. Anderson. Per the title, this books covers the basics, and if you’re an experienced iPhone (s aapl) user, much of its content will already be familiar. But if you’re thinking about getting an iPhone for someone as a holiday gift, this book will be a great accompaniment. In fact, you might want to get the book early, as the author includes a useful “Decide What to Buy” chapter that helps you select the model and accessories that are right for you. For the novice, this book goes through how to use the phone in clear, friendly prose, explaining everything from the difference between a touch and a tap, to how to use the iPhone 4’s FaceTime. I was pleased to note that the author has has laid out the book so that it can be read in sequence, or used as a reference if you need help with a specific issue. The PDF e-book version takes advantage of its medium, with embedded links to the publisher’s website, where the author publishes a blog, and where updates and alternative formats (including EPUB and MOBI) can be downloaded. The MOBI version works very well on my Kindle (s amzn). And oh, yes, I’m also re-reading Roger Zelazny’s “A Night in the Lonesome October,” which I do every year around this time. It’s a slightly macabre fantasy that’s told from the point of view of a dog who’s… well, I don’t want to give anything away, but this is a great book for getting me in the mood for Halloween. I think the first book on Facebook got me curious enough to grab me a copy although it may be a little bit ‘outdated’ as you mentioned. I think Facebook has changed a lot of concepts we have about connecting with people; it’s the way we live these days in this Facebook nation.